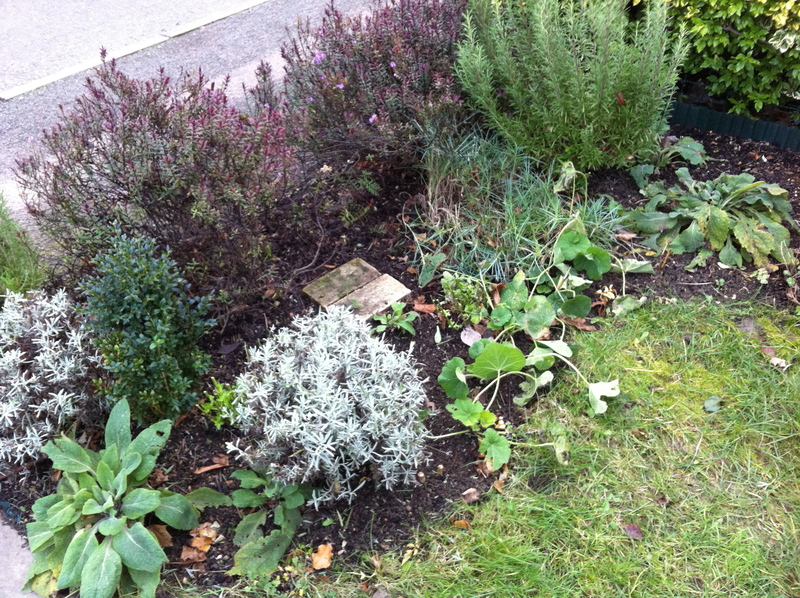 A few days ago I spent some time tidying up the front border in the front garden while the weather was mild. The hebes were trying to claim the pavement and there was a stand of long-dead sunflowers that gave it all a bit of a morbid feel. There were also remains of foxgloves and snapdragon to add to the clutter. I spent a good few hours taking out a dead hebe, pruning the lavender hard, taking the sunflowers out as well as taking out the finished annuals and biennials. It’s looking a lot neater now – really. It’s the middle of winter so it’s allowed to look a little worse for wear, especially the grass. By summer this will all have filled out and be burgeoning with flowers and plants. I have some older pictures of this border that I might dig out and compare later in the year. This is the only border I will tidy like this. I will be leaving all the others until the spring. I only perked up the front border because it is the most widely visible and because we see it everyday going to work so it has the most impact.